Give Us A Call: If you would like to hire the band for a pub, club, wedding, function or event please contact us for availability and rates. We tend to book up to a year in advance. 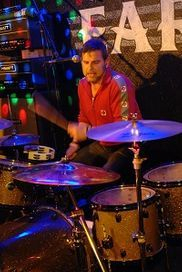 Standard Sets: As a guide, we would normally play two sets of approximately 1 hour with a 15-30 minute break, but fees negotiable for longer sets. Additional charges may apply to cover travel costs. Introductory Discount Pub Rate: If you are a pub landlord looking for a band and haven't seen us play before, we are happy to offer an initial first gig discount. Weddings, Parties & Events: Prices dependent on location, set times and sound-check arrangements etc. Charity Gigs: We are happy to do a handful of charity gigs each year, but we ask that expenses are paid for. This again depends on availability, location, sound-check arrangments etc. PA Provision: We provide our own PA if not otherwise supplied. The quality of music delivered is reflected by a decent setup and soundcheck which typically takes 1-2 hours prior to an event commencement. Promotion & Rates: We take promotion seriously and are fully committed to promoting public gigs via social media and will provide venues with advertisement posters / flyers where appropriate. We adopt a flexible approach to rates, working alongside venues in achieving their business entertainment objectives. Booking Deposit: In order to book the band for a private event, we require a 25% deposit up front. Once we've taken a deposit, the agreed date is added to our event schedule and the date is considered secured. Please note, regretfully this is a non-refundable deposit should you need to cancel the event, however the deposit can be secured against an alternative date. In the unlikely event that the band need to cancel, a full refund of the deposit will be given or an alternative date can be negotiated. Song Choices: Whilst the band endeavour to fulfil expectations for private bookings, specific song choice requests cannot always be guaranteed. The band will generally play from a pool of set songs as they see fit for the occasion. Where there are specific requests, the band will try to honour these, but this isn't always possible. It is strongly recommended therefore that anyone looking to hire the band for a private function should ensure that they come along to a gig and listen to a complete set so they can properly evaluate what they are getting for their booking. The band have a wide mixture of songs from Indie Rock, Classic Rock to 80s and cheesy party songs that they turn out regularly. 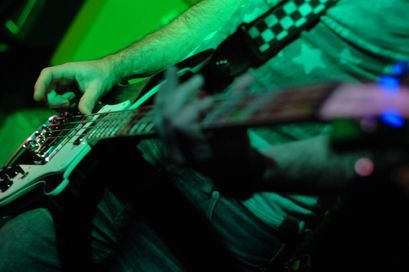 Public Liability Insurance (PLI): If you are looking to book the band for an event, please check with your chosen venue before requesting a quote to see if they require Public Liability Insurance validation from the band. It is normal for most venues to operate their own PLI, but this is worth checking in order to understand what this covers. The band have their own PLI with cover up to £10 million. The band can provide a copy of their PLI certificate on request. Portable Appliance Testing (PAT): It is general best practice for the band to have their gear regularly PAT tested, however if there is a specific requirement for a venue, the band will ensure all kit is re-tested for safety reasons. The cost of this will be incorporated within the quote. PLEASE NOTE: The band cannot be held responsible for any issues that may arise if PLI or PAT requirements are not made clear up front at the time of requesting a quote and securing a booking. Please check with your chosen venue! Useful Information - Booking A Band For A Private Event? The following downloadable guide is designed to give you some unbiased insight into booking a band for your special event irrespective of whether you decide to book The Mofos! Quite often so much about planning an event is a step into the unknown...if you’ve never dealt with bands before, how on earth are you going to know what constitutes a fair price? Or value for money? And what do you even get for that financial outlay? There are many websites that offer insider knowledge to give you a few pointers and its advisable to do your research before booking a band. The guide below provides a few pointers of our own that we think may help you in your search for the right band. Note to pubs, clubs, venues and private enquirers- We are now taking bookings for 2018. Get in quick before the dates all go!